Dictation from George C. Pendleton: Belton, Bell County : ms., 1889. Papers: In Alex Dienst collection, 1765-1927. ca. 4 feet. 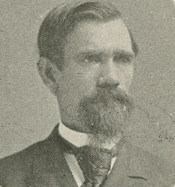 Letters pertaining to political developments in Texas and United States (1880-1900). Described in published guide.